Auto & Home	Life Insurance	AD&D / HAP	Identity Theft Ins. At Access Community Credit Union, our goal is to assist our members in every way possible. 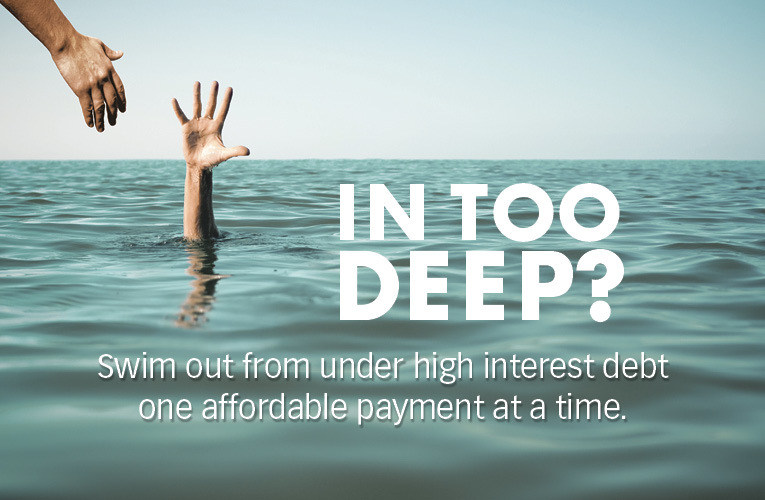 Our “Access to Freedom” Debt Consolidation Program will allow you to put all your debt into a monthly payment plan with a much lower and more manageable interest rate. We will pay off your unsecured credit card debt and apply those balances to an Access Signature Loan. We are here to work with you now. Let Access help you build the financial security you deserve. Access Signature Loans up to $25,000. *Rates vary and are contingent on credit scores. Call 806.353.9999 to speak to an experienced loan officer. The web site you have selected is an external one located on another server. We are offering the link for your convenience. Access Community has no responsibility for any external web site. We cannot warranty, expressed or implied, any external site. Thank you for visiting our web site. Click "OK" to continue or "Cancel" to go back. © Copyright 2018 by Access Community Credit Union. All Rights Reserved. Access Community Credit Union is committed to serving all persons within our field of membership, including those with disabilities. We strive to make not only our physical branches accessible, but also to conform to WCAG 2.0 guidelines for website accessibility. Our efforts are ongoing including frequent testing and updates to improve accessibility. Should you have any problems accessing our branches or website, please call us at 1-800-687-2990 so that we may promptly assist you and remedy any accessibility concerns.